If you would like to buy just a few items, please check our retail site KIDY.eu. 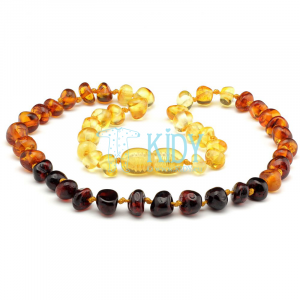 Amber necklace for infants glistens brighter and looks more appealing as your baby wears it thanks to a polishing effect on its beads when touching the skin. 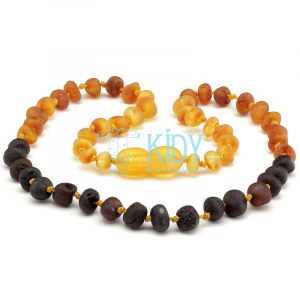 We offer amber teething necklaces and bracelets for babies. Our head office is located in Klaipeda, on the Baltic Sea shore, so our buyer can be sure in the quality of our products: we provide you only with pure Baltic amber.